American Kings wood harp / piano stool with telescopic seat, octagonal pedestal, and terminating on quad base with rounder block feet. 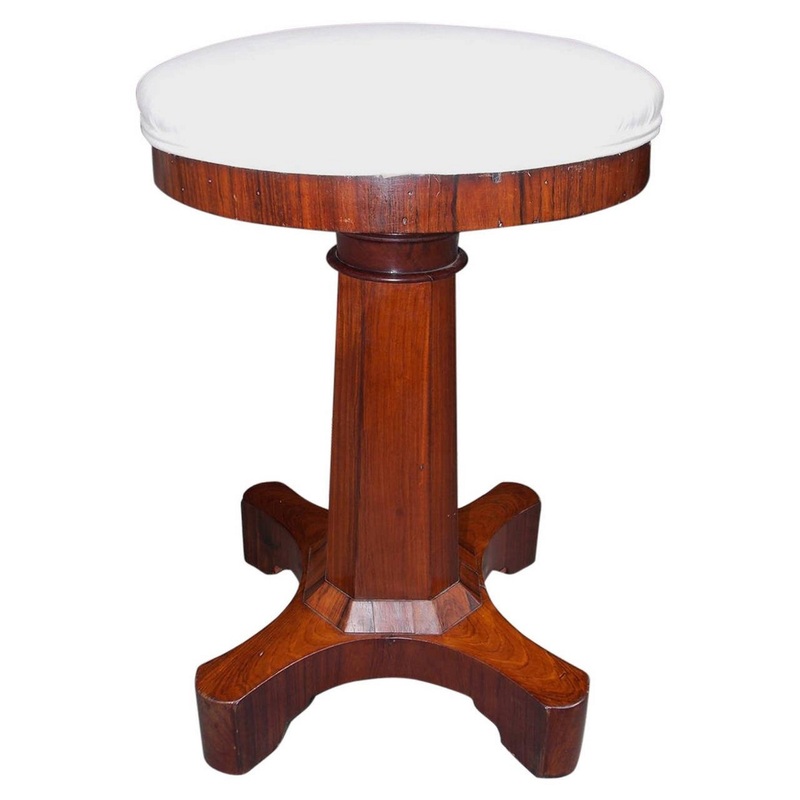 Stool is upholstered in white muslin. Early 19th Century.